Earlier this month, I was honored to witness more than 3,000 passionate leaders gather at the Gaylord National Hotel & Convention Center to hold important discussions and trainings about how we, as a global community, can increase and improve substance abuse prevention efforts. On Saturday, February 11th, members of the West Baton Rouge Healthy Drug Free Coalition, Louisiana, laid a wreath at the Tomb of the Unknowns, Arlington National Cemetery. I was honored to be invited to take part in the ceremony, representing CADCA and its staff. Mrs. Toddie Milstead, the coalition’s drug free project coordinator, planned the event to coincide with her coalition’s attendance at CADCA’s 27th National Leadership Forum, February 6-9, 2017, held here in the Washington, DC, area. Pop culture often perpetuates a false perception of the short and long-term implications of drug and alcohol misuse and abuse. Unfortunately, social media, television, internet, music and peer pressure often mislead teens to underestimate the serious ramifications of drug and alcohol use. In the month of January, National Drug & Alcohol Facts Week dedicates time and resources to helping youth learn and understand the true effects of drug use from experts in the field. CADCA’s 27th Annual National Leadership Forum & SAMHSA’s 13th Prevention Day is located at the beautiful National Harbor, just a stone’s throw away from the nation’s capital. 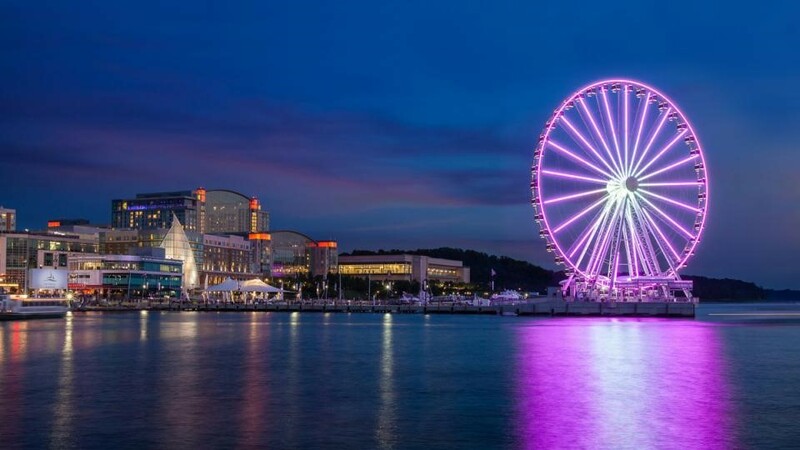 Whether you’re planning on arriving early, staying a few days, or just taking in the sights in your spare time, there is plenty to do at the National Harbor! Every year, tradition calls for champagne corks to be popped and wine to be passed as family and friends gather to celebrate the holidays and new year. While the celebratory toasts invoke socialization and the spirit of the season, too much consumption can lead to dangerous consequences to yourself and those around you. The Surgeon General of the United States recently released The Surgeon General’s Report on Alcohol, Drugs, and Health – Facing Addiction in America. This landmark report uniquely describes what we know about substance misuse and how the challenges associated with it can cascade, affecting individuals, families and communities. However, unlike traditional reports, it not only provides facts and details, but is also a call to action. In the words of The Surgeon General, Vice Admiral Vivek K.
It doesn't take a superhero to change a life. The Shelby County Drug Free Coalition has been buzzing with work, making that motto extraordinarily prevalent this month. Because it is National Medicine Abuse Awareness Month, we decided October would be the perfect month to kick start the Medicine Safety Youth Educators Pilot, supported by CADCA and McNeil Consumer Healthcare. Over the course of the summer, I’ve had the privilege of interning for CADCA as I pursue a degree in Conflict Analysis and Resolution (CAR) at George Mason University (GMU). GMU encourages internships as a way to apply a student’s choice of study within a professional setting, and working for this premier organization has achieved just that. My name is Stevi Johnson. I am 11 years old and from Oklahoma. I went to CADCA Mid-Year and represented the IAMNDN coalition. I also attended the NYLI classes. My experience in the NYLI classes was fun. I liked the way the trainers in there taught. They were humorous and serious. I was one of the younger students in there. I presented two times, and yes, I did learn a lot. As a college student, these are the conversations I’m surrounded by. Many students are far more concerned about their nighttime binge drinking plans than the big project that’s due next week. I saw far too many of my peers bent over a toilet throwing up, or even worse put into an ambulance because alcohol was to blame. They consider drinking a rite of passage, a way to make friends, and a way to have fun.